CPSA Dapto Seniors: How Stupid! How Thoughtless! You would not credit that anybody could be so thoughtless and stupid. 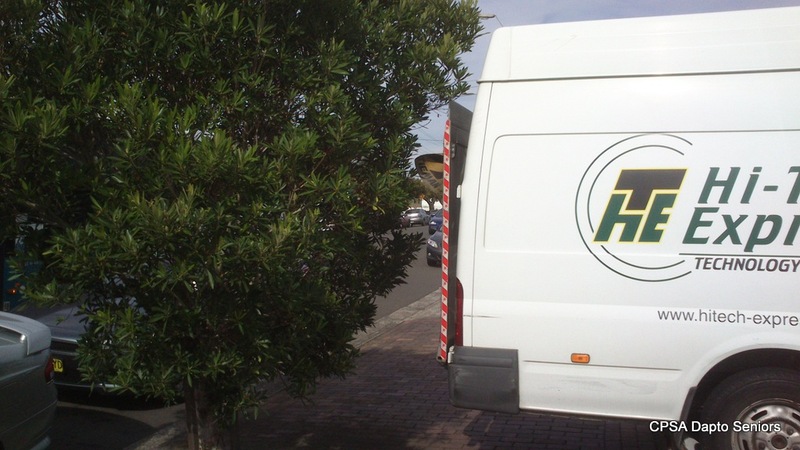 Walking through Dapto near the Centrelink office I could not believe that the footpath was completely blocked by this van. What made it worse was that it was there for hours! This was between the bus stop and Centrelink in Baan Baan St. The driver saw people struggling to get between the back of the van and the tree indeed, as I walked along, I saw a lady in a wheel chair having to push through the branches and foliage with great difficulty to get past. 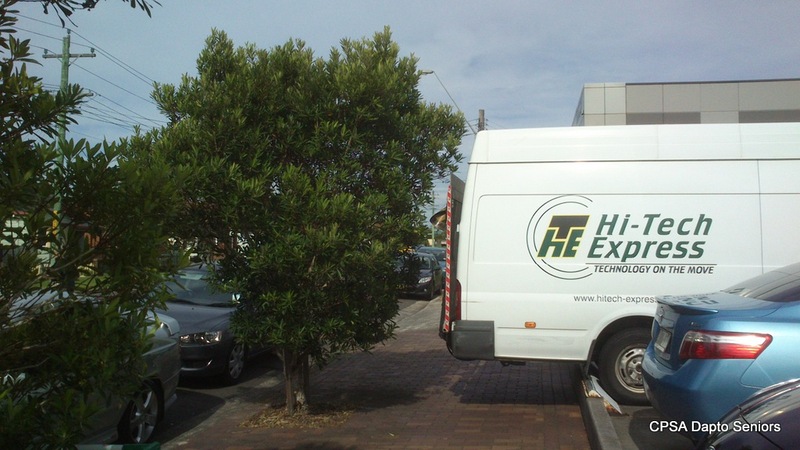 The vehicle could have been moved a couple of feet forward to make a passage without causing any problems in the car park but that appeared too complicated for this mob. Technology on the move eh? Nobody else could.